Netflix wants you to keep tabs on how fast your internet connection is. That’s why it trademarked and launched a data speed test site that launches instantly as soon as you enter the website www.fast.com. This is likely to help customers who are having trouble with their internet connections to identify the issues fast. While we still have speedtest.net, there are still many people who cannot understand what the speed test is actually measuring or how to even start a speed test using Speed Test’s interface. Netflix has so much internet traffic already but believes it’s still up to the task of launching such a speed test site. The result appears in a simple to read, and large number. 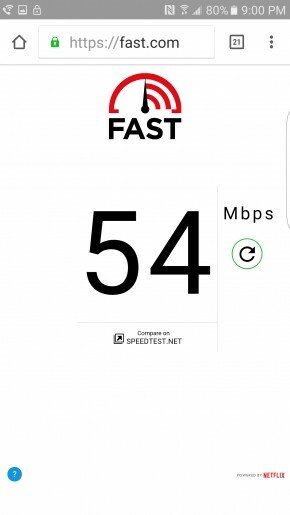 There is even a link to the legendary speedtest.net so you can compare your fast.com test results. Even when checking slower connections, fast.com is good at making speed tests quick.